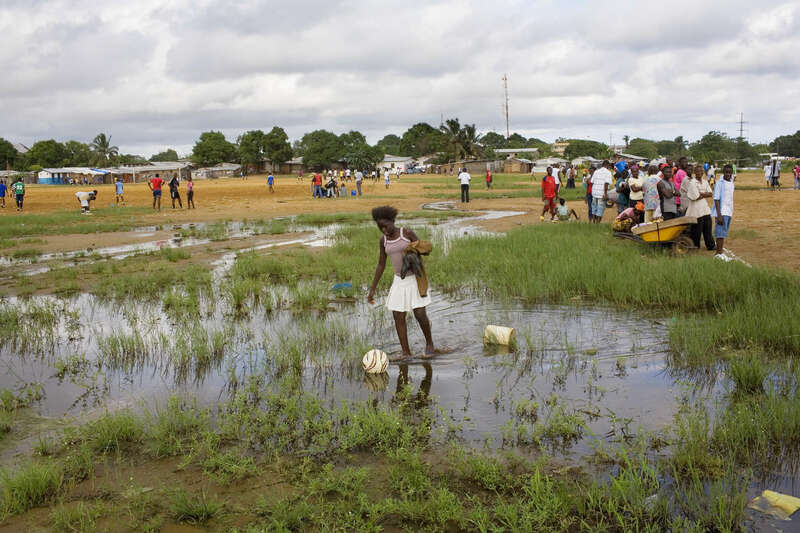 A young woman retrievs a football being used in a match between two teams of amputees in the Liberian capital Monrovia. Some 13 years of civil war left the economy in tatters and its people impoverished. Football provides a vital opportunity for communities to pull together.